I am just popping by to let you know I am too busy to post because I am on vacation with Jack, my parents are in town and I am SEWING!!! A LOT!!! I am very excited!!! Can you tell? I mean, how many exclamation points do I have to use? I have so much to tell you, but it’s 1:30am and I have to get to bed pronto. I had a fabric lunch with Lindsay T, Carolyn and Allison on Friday. 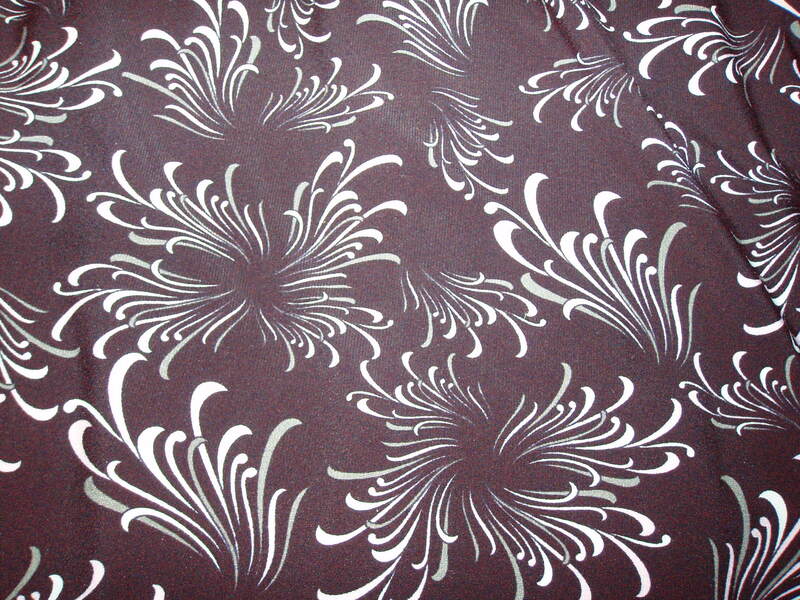 I was so excited about one of the fabrics I bought, that I had to start working with it right away. Until I have time to post more substantially… Happy sewing everyone! My post title sounds so grandiose, doesn’t it? Remember when I organized my sewing area and put up shelves in the bedroom closet for my fabric stash? Well, since then my sewing area has gone to the dogs. 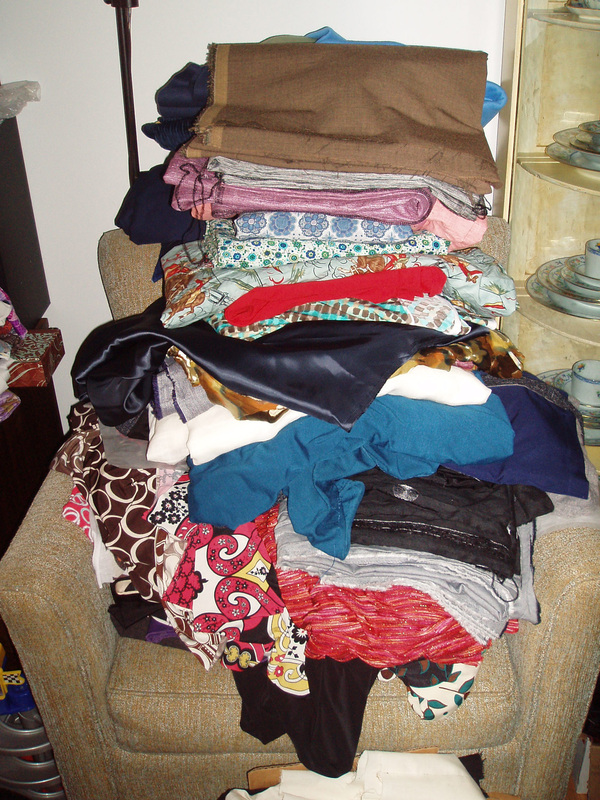 At least in regards to the fabric stash. Each new arrival keeps getting added to my chair. After the debauchery that was PR Weekend Philly, here is what my chair looks like now. OMG! 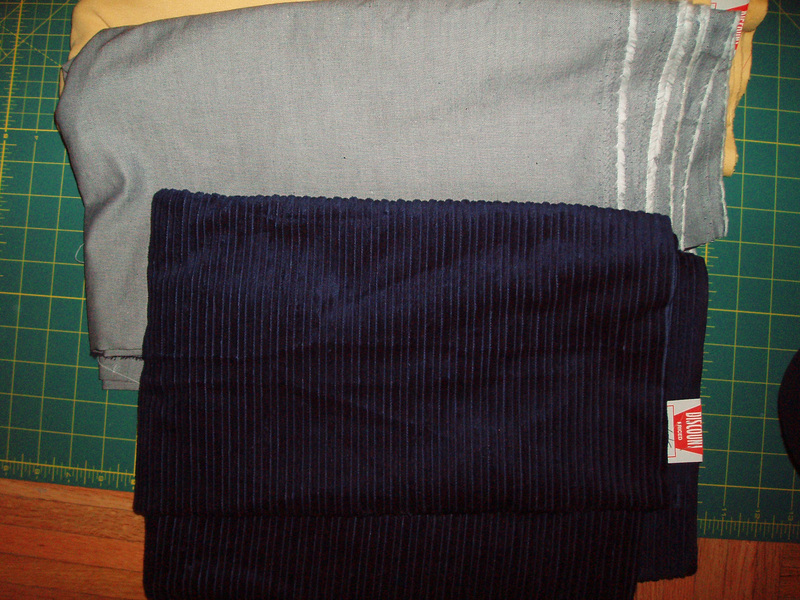 And the confession part of this post is that I accidentally bought more yardage from FabricMart. It was an accident. Honest! We’re reviving the Trench Sew Along. If anyone wants to join us, please feel free to do so. Either leave me a comment here or there and I will start the process to add you to the blog. I’m finishing up my knit top and starting another pencil skirt tonight. Wish me luck. I wore it to work and everyone there loved it. Then we attacked the garment district with a vengeance. Everywhere we went, people snapped our pictures. Ok, it was really Peter, but we felt special nonetheless. We started out at Paron’s. As I had just been there a couple of weekends ago with Karen, I did not purchase anything there. Next we strolled over to SIL Thread. Boy do they have a lot of thread and lots of other notions. I snared myself some snaps and paint for Thor’s camp shirt. Then we ambled over to Spandex House. As usual I was blinded by the dayglo selection of the performance fabrics. 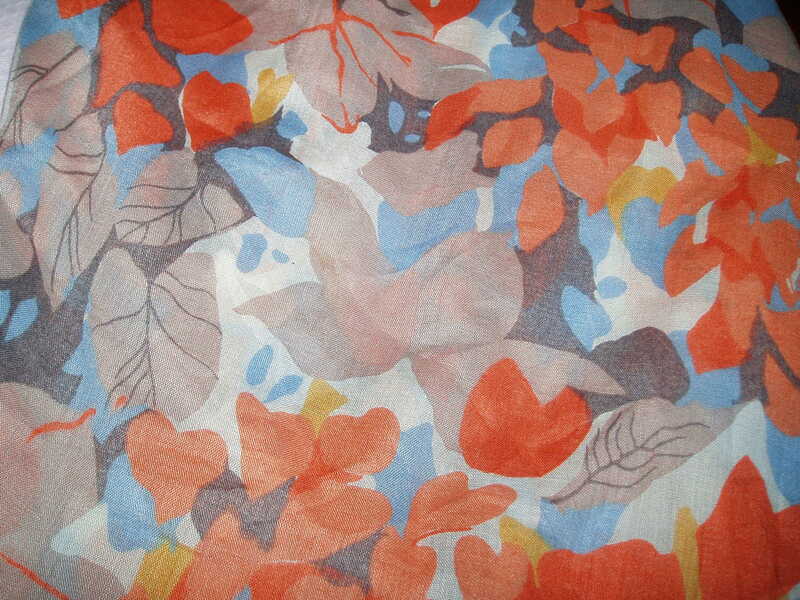 But I did walk out of there with this cute brown print. I loves me some prints, I sure do. Next on the agenda was the fabric extravaganza known as Kashi of Metro Textiles. 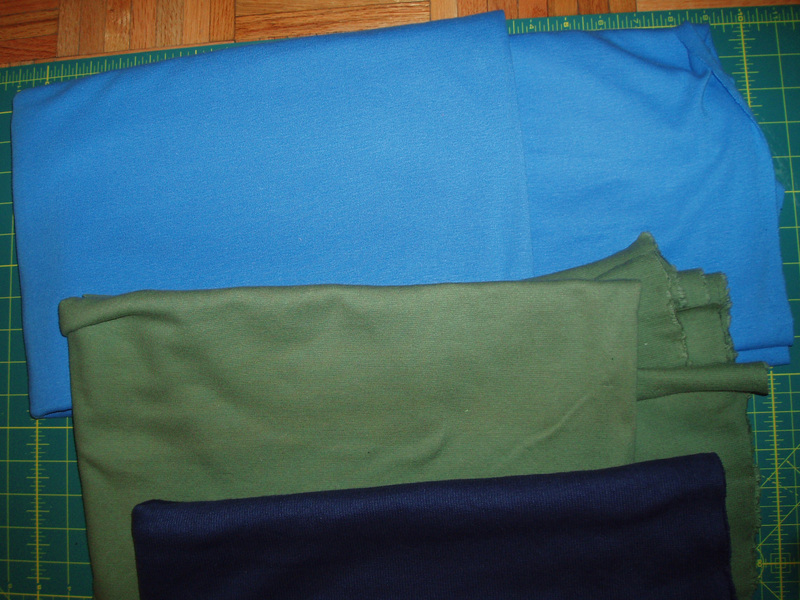 I raided Kashi’s remnant bin and snagged some choice fabrics. 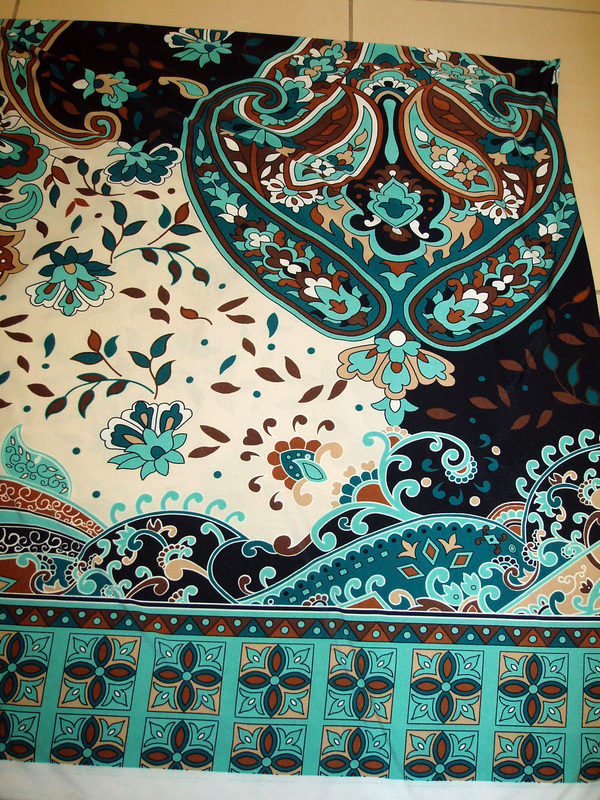 The silk charmeuse will be a new scarf for Jack’s nanny. Her birthday is this weekend. 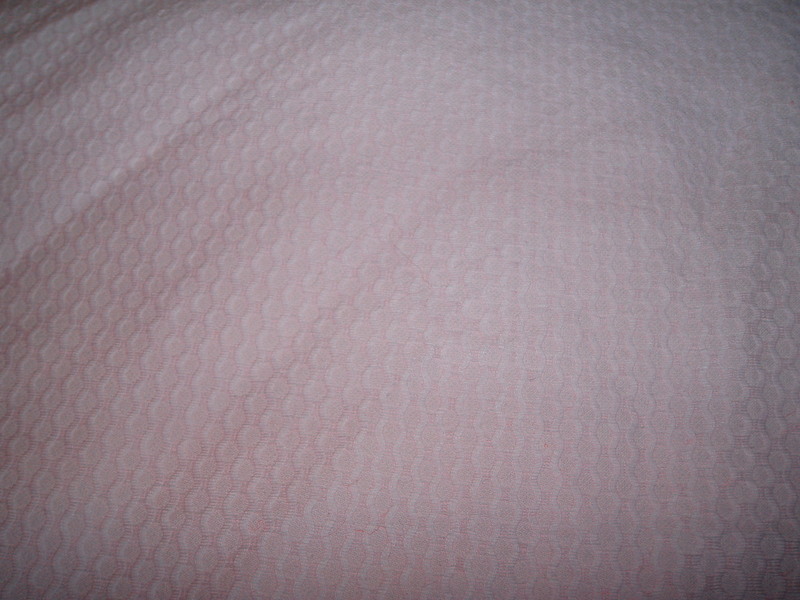 The pink pique seems perfect for a little girl, as does the floral cotton voile. The fuschia print will be another addition to the work wardrobe. 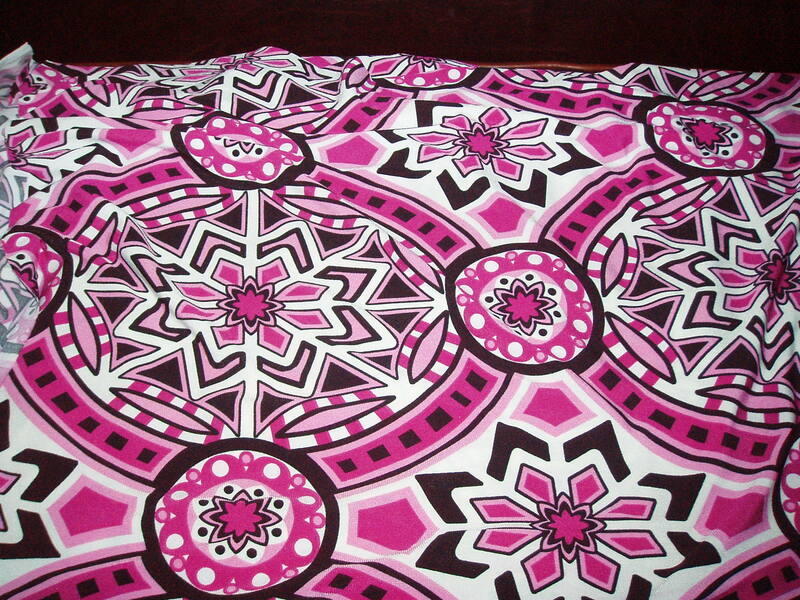 My main purchase at Kashi’s were 3 yds of the black with pink/gray floral knit. 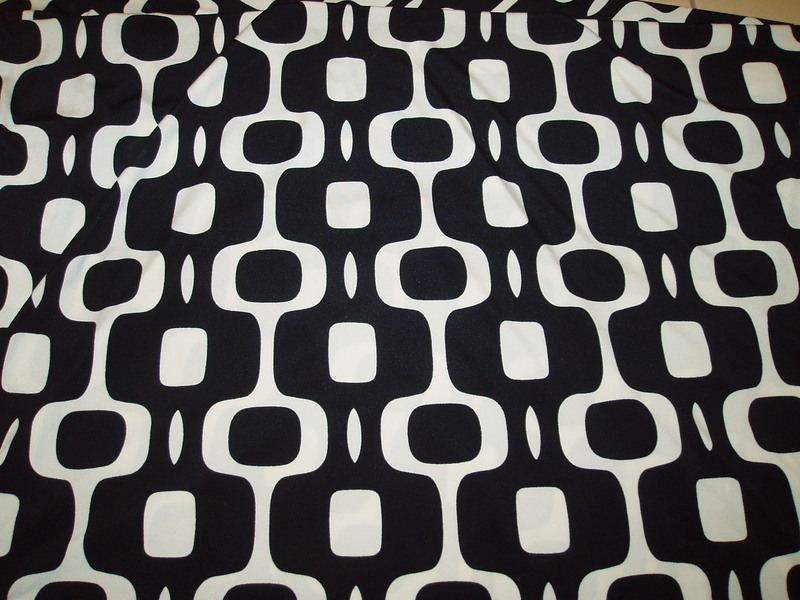 This will finally be the fabric for the DVF wrap dress I’ve been dying to make, V8379. 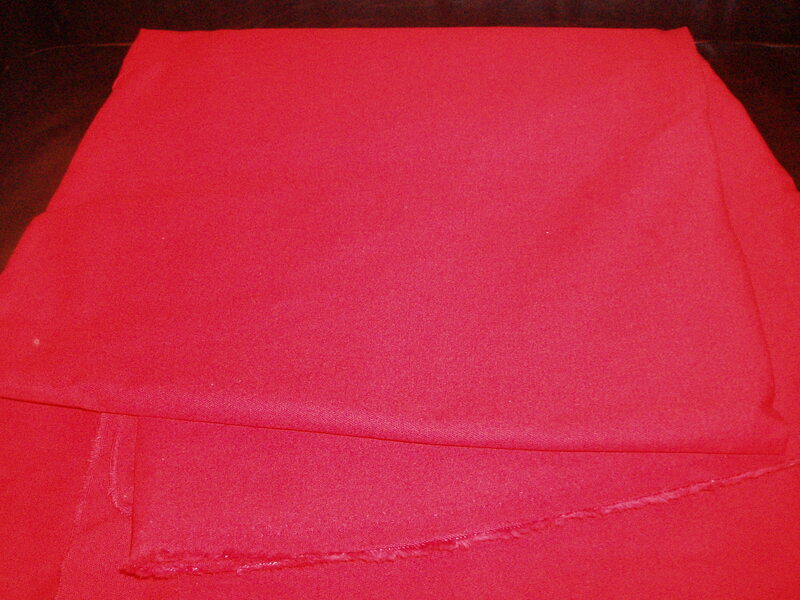 After I had already paid for my loot, I fell for one of Trena’s purchases, a cherry red stretch twill. Every woman needs a red pencil skirt in her wardrobe, right? It was a fun day of shopping and walking around in my fabulous new dress. Trena and I finished off the day with a great dinner at a super delicious Indian restaurant in my hood. I was stuffed. We forgot to take pictures, but I think there are enough pictures out in the blogosphere documenting the day already. I asked my sister to snap a couple more pictures of my dress today. I hope you won’t mind indulging me. 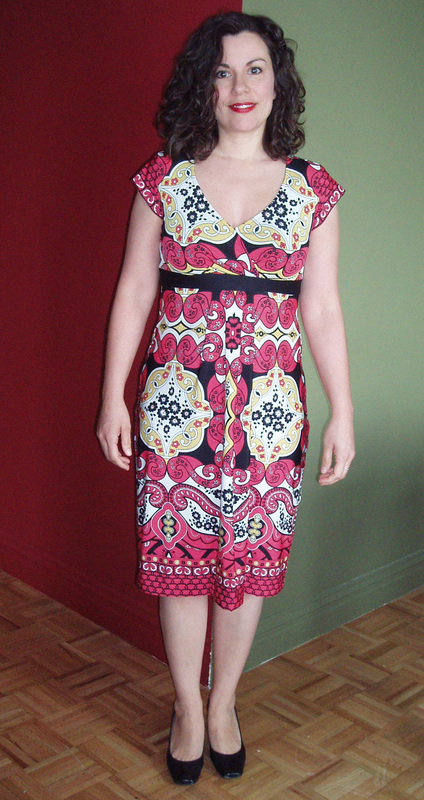 This is my third rendition of Simplicity 3678. You might recall I was going to use view B’s three quarter length sleeves. Yeah, well, I remembered that after I cut out the short sleeves. Instead of gathering, I used pleats on the front of the dress. And apparently I did not use the modified back skirt pattern as I needed to add an inverted pleat on the back too in order to match the length of the back empire waist band. But despite these glitches (and nearly serging off a piece of the midriff band), I really like my dress. I love the print and color palette. 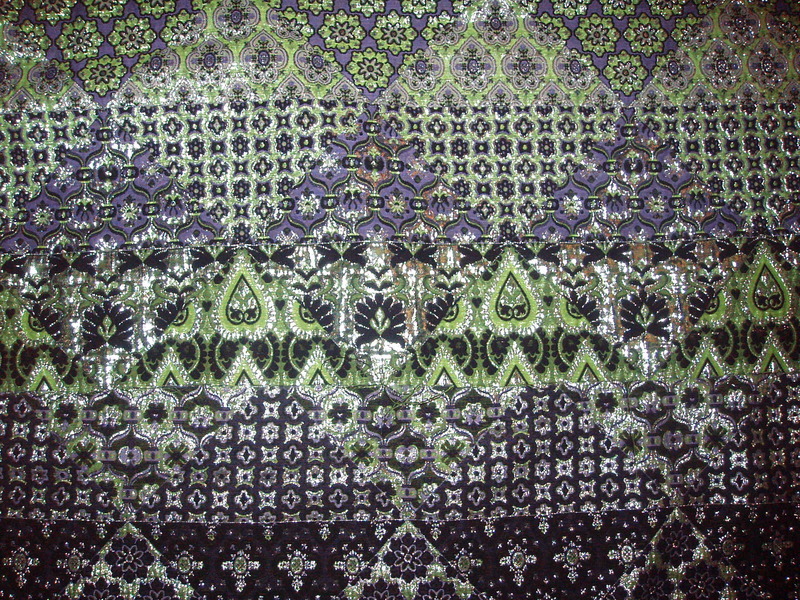 Of course, as I am wont to do, I am second guessing my pattern placement with the border print, but what’s done is done. I still can’t believe I sewed it all in one night. Anyway, I had a great time seeing Trena again and meeting up with her entourage. Very fun day! 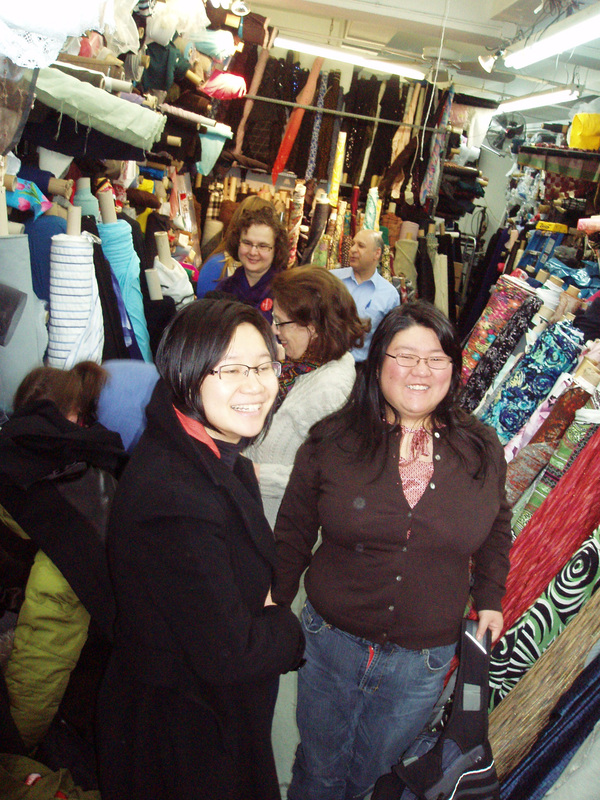 Yesterday I had the pleasure to meet up with several NY Pattern Review members for a PR shopping day in the garment district. A huge thank you to my sister for taking care of my son so I could enjoy a whole day fondling fabrics and the company of like-minded people. Eight sewists showed up: Catherine, Emory, Cynthia, Ann, Sarah, Mikhaela, Peter and the two Elizabeths (one of them being myself). Peter was a hoot and it was great to finally meet one of the 2-3 men from PR. Unfortunately, his identical cousin Cathy was not able to make it to our gathering. We had wide-ranging sewing experience between us all, from one person who was only one month into her sewing journey to one who teaches sewing. We met up at Greenberg & Hammer to shop their notions and moved on from there to Metro Textiles, H&M Fabrics, Ebad Fabrics, Botani Buttons and Modeani Fabrics (the store that is continually going out of business apparently for years). All new places to me except for Metro Textiles. At Greenberg I bought some embroidery floss for 25¢/piece and tailor’s crayon. Crayon, not chalk. Elizabeth, the other one (3rd from the right of the people standing in the picture above), swore by the tailor’s crayons. Haven’t tried it out yet though. 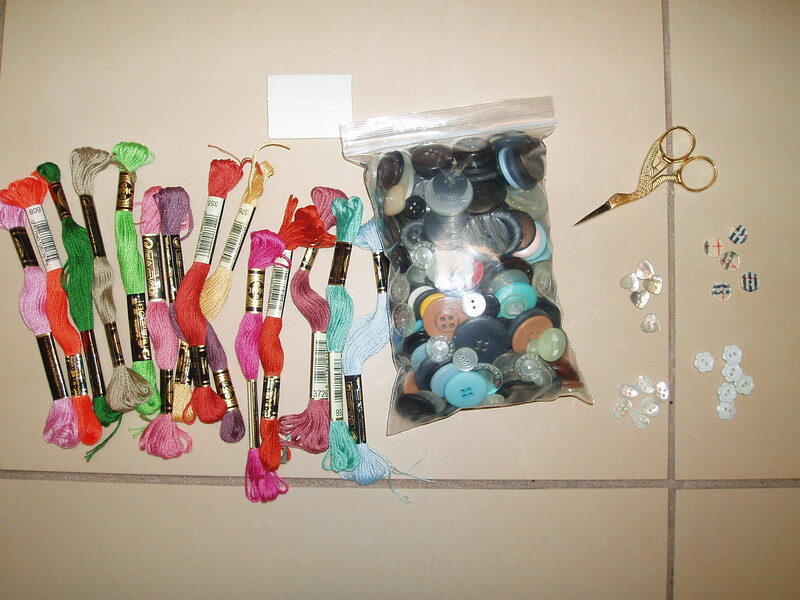 From Botani, I bought some embroidery scissors, and several styles of buttons for my nieces’ projects I have planned soon (more info on that in an upcoming post) and a big ole bag o’ buttons. I don’t have much of a button stash, so when I see bags of them, I just buy them. 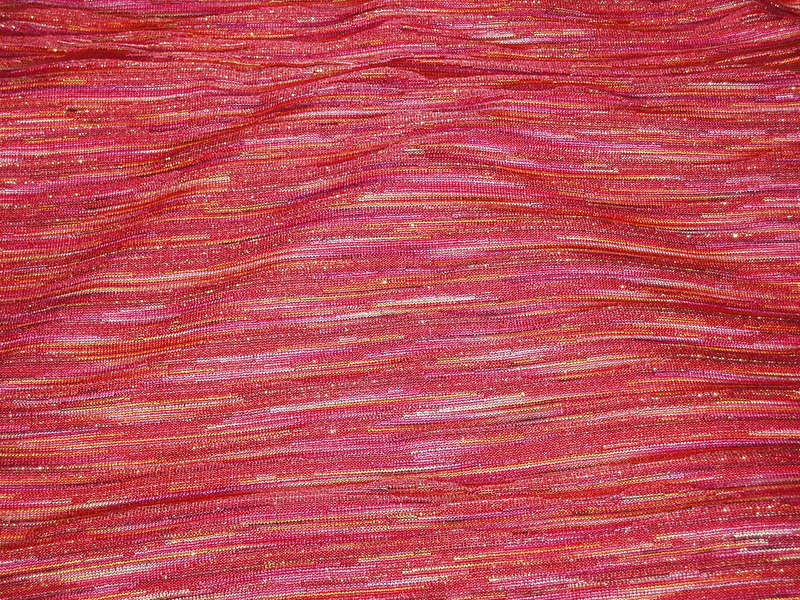 I bought the most fabric from Kashi at Metro Textiles. A few knits, some remnants… Sarah turned me on to the remnant bin at Kashi’s. I didn’t know he had one before this and I’ve been going there for over a year now. Sweet! 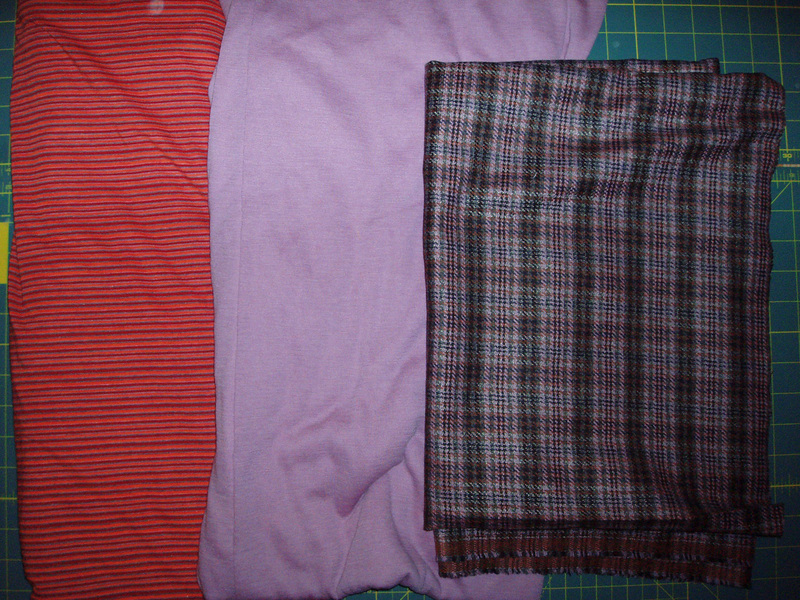 I have two border prints which will be dresses some day, a Missoni-like sweater knit that will be a tank and cardigan set, a black and white knit remnant which will be a top, and heavy flannelly like denim-like (those are my technical terms, not Kashi’s) fabric which could be a pencil skirt and some boy’s pants. 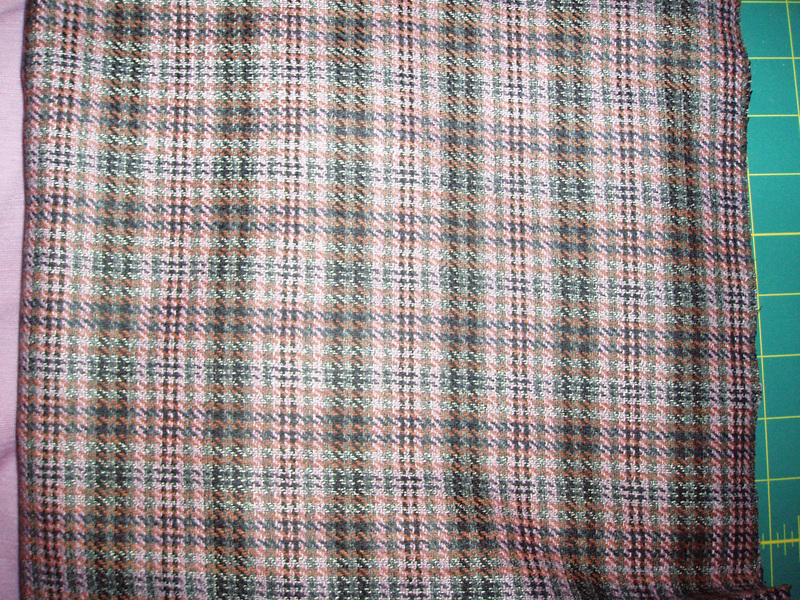 Oh, I also bought my first plaid. 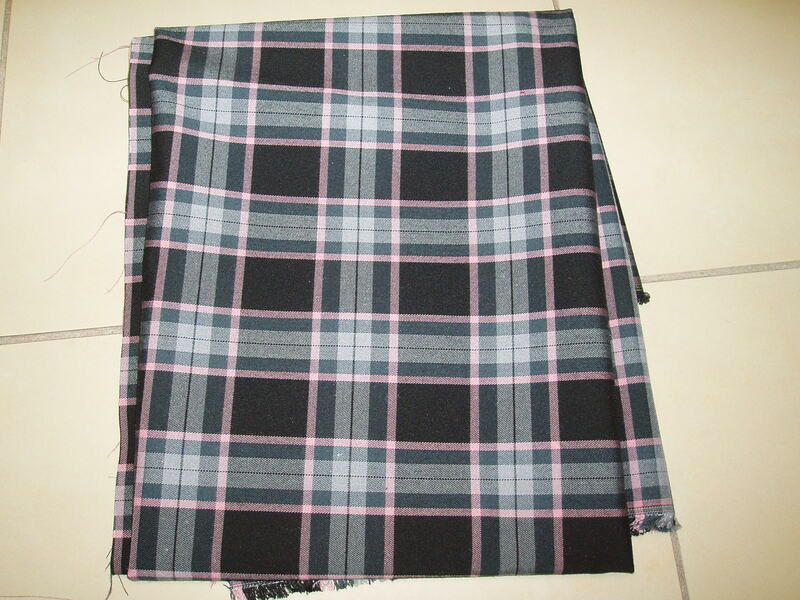 I like that it’s not your typical plaid; it has a pink stripe in it. I only bought a yard, but now think I should have bought some more because of the matching necessity. Oh well, live and learn. 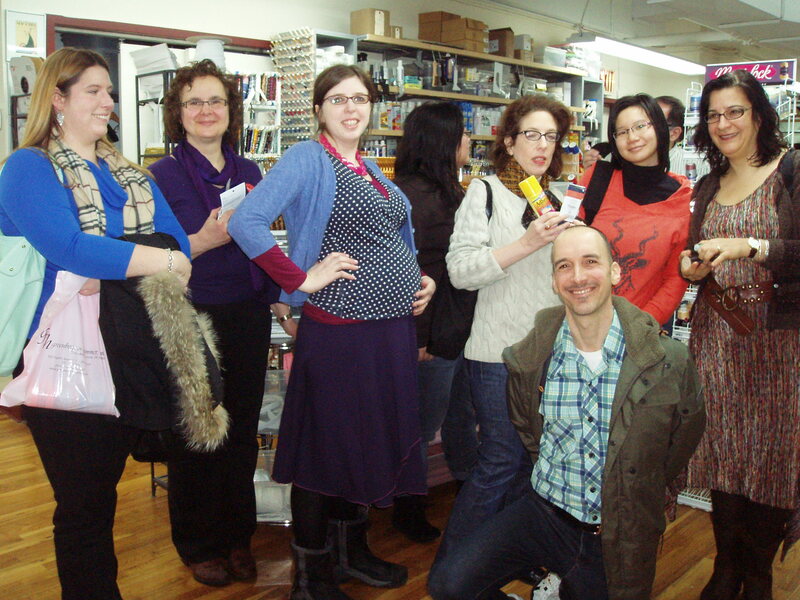 Here are some pics of my new stash and of all of us crammed into Kashi’s store. I tried to shop with a plan, but plans go out the window when you don’t see what you’re looking for. 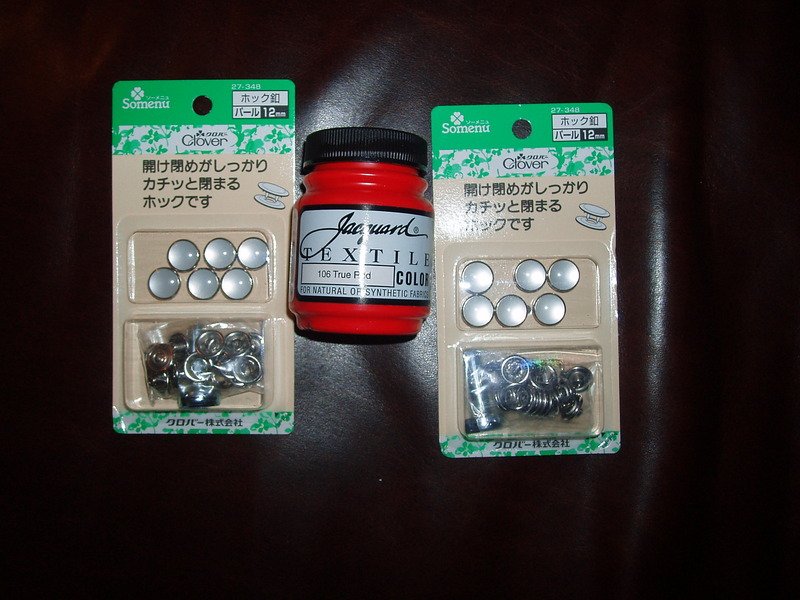 Regardless, I am very happy with my purchases and I had a great time with new friends. Double whammy of goodness! I received some really great comments on my last post which I would like to address more deeply. But you’ll have to wait until next time! 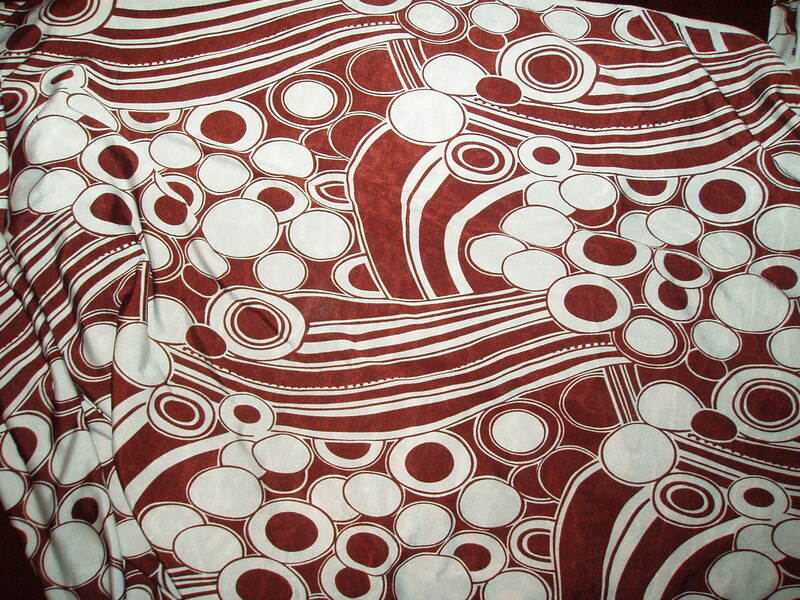 Thank you all for your supportive comments about my recent discovery of some badly printed fabric that I bought way back in 2008. My fabric was not only printed off grain, but it begins to skew in the middle of the pattern ever so slightly. Enough that there is no way to match the print at all, no matter what method is used. 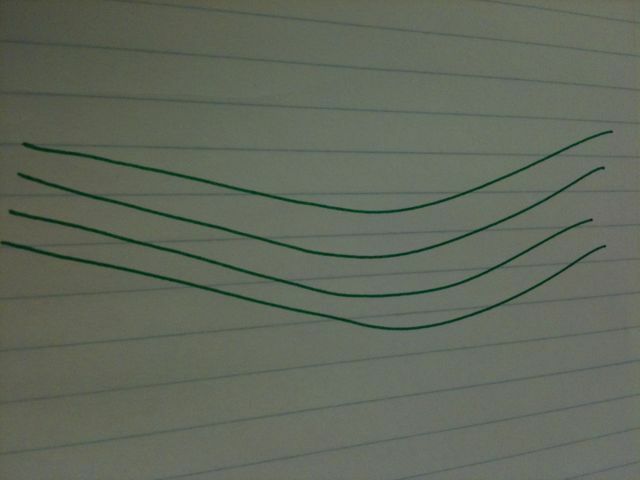 See my “graphic” above for my expert visual illustration of this problem (the writing tablet lines are the straight grain of my fabric, the green lines are the pattern printed on my fabric). I’ve tried cutting in single layers, I’ve tried matching it up on different parts of my 3 yd cut. I’ve tried inverting the pattern piece. All to no avail. I have officially given up on this fabric. Sigh. 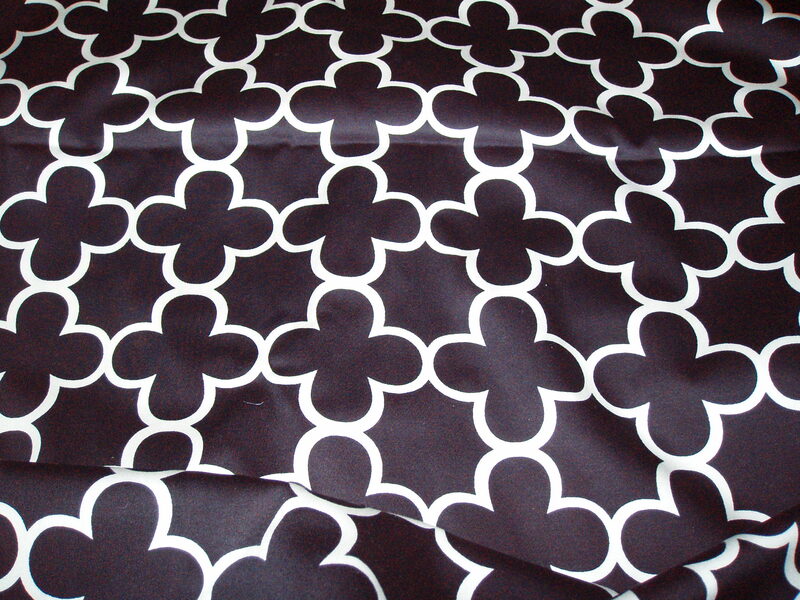 I really love the alhambra clover pattern too. double sigh. 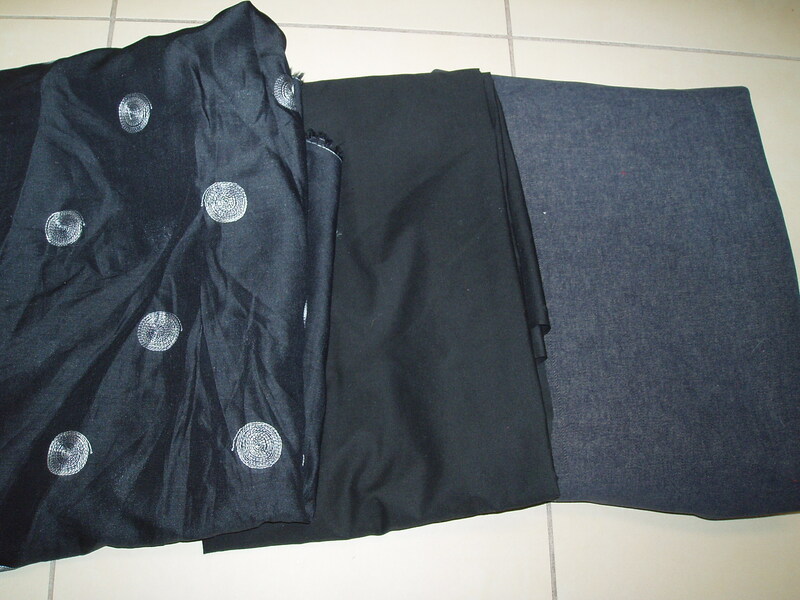 By the way, I am trying to make Simplicity 2452, a pencil skirt. 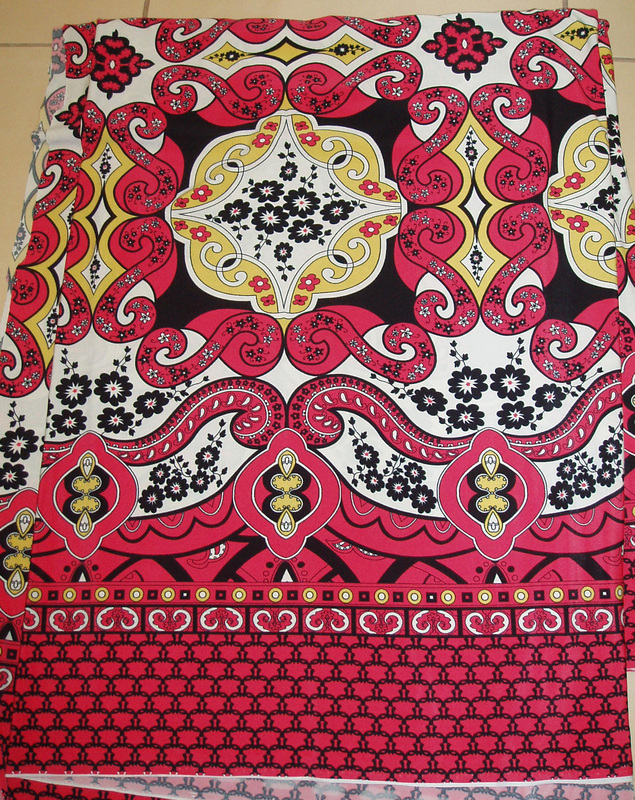 I hope it will become my TNT pencil skirt, but that’s a discussion for another post. What I’m trying to say is that this is all it took to stop my sewing mojo in it’s tracks for a couple of days. Last night, in a fit of determination and before Jack went to bed and my closet of sewing stuff/stash was inaccessible for the evening, I looked at all of my fabric for a suitable stand in fabric to learn print matching at seams. 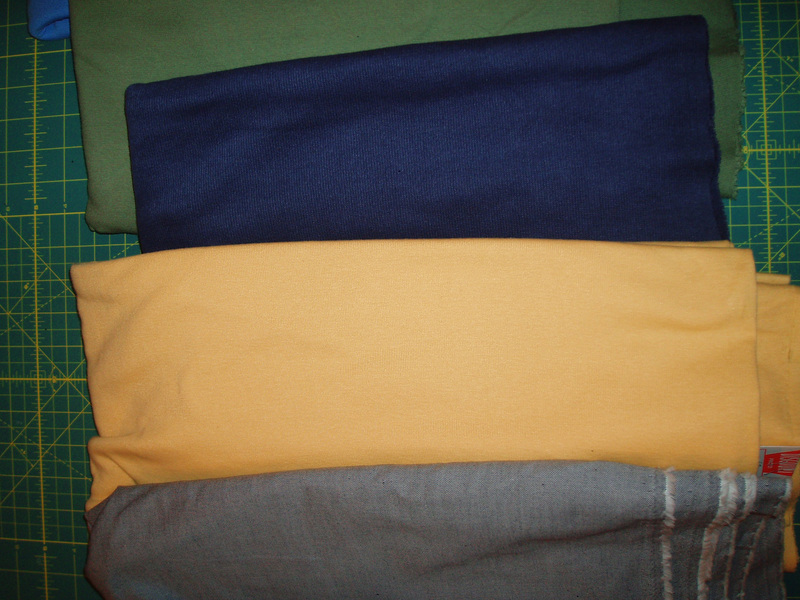 Unfortunately, I have a bad case of good-fabric-itis and don’t want to cut into any of those fabrics yet. 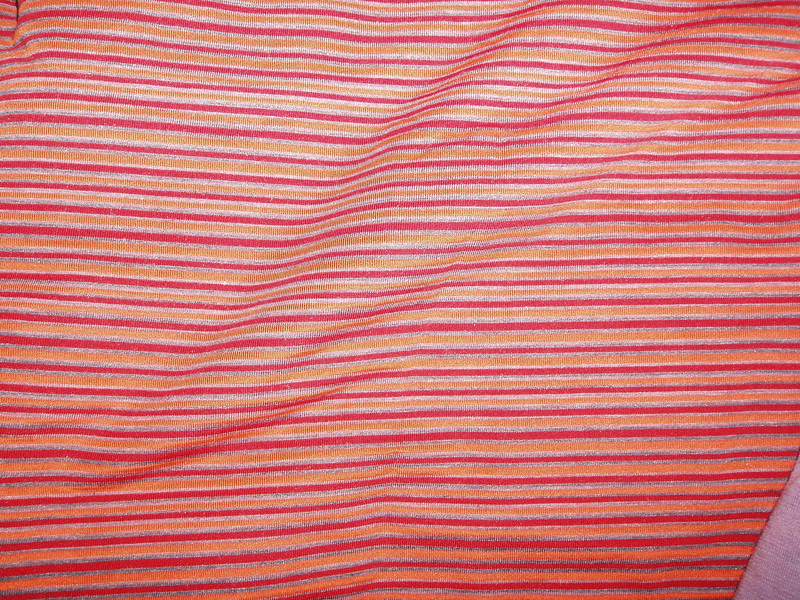 So I resorted to some slightly icky black (subtly striped) fabric left over from my class at Sew Fast Sew Easy. It’s a stretch cotton. 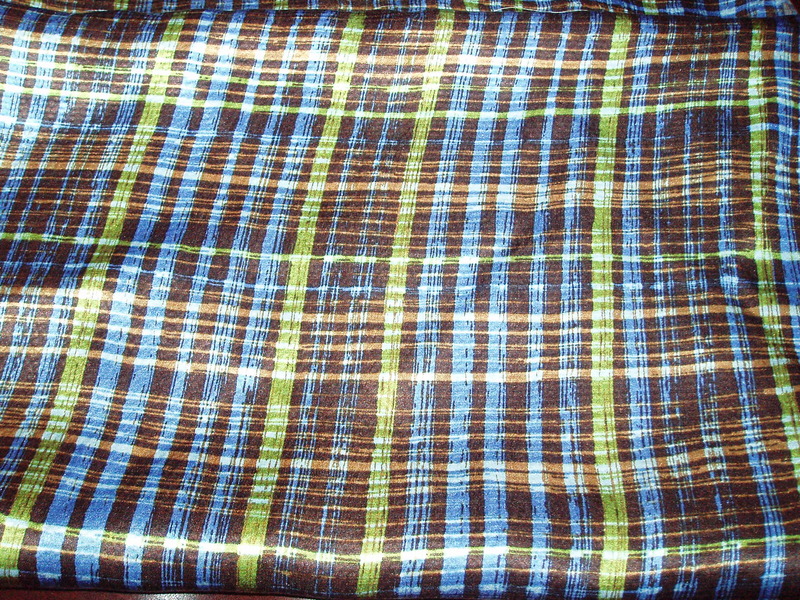 I wanted to attempt matching the stripes using the Selfish Seamstress’ discovery of the easiest way to match stripes/plaids. I think my stripes were too irregular and too subtle for this method, but I still recommend it as it looks like it works. However, I also looked at my patterns for a good knit top pattern to make some tops for my suits. I don’t have a lot of work appropriate separates and desperately need to grow my wardrobe. However, after perusing my pattern stash and all of my Burda’s, I couldn’t find anything!!!! My parameters were easy, work appropriate and attractive. Can I tell you that it seemed like I was asking too much? If the pattern was easy, it was shapeless and fugly. If the pattern was attractive it looked to difficult. I want knock out a few of these with my printed knits, not spend two weeks on one top. If anyone has any pattern suggestions for cute knit top, I am all ears. 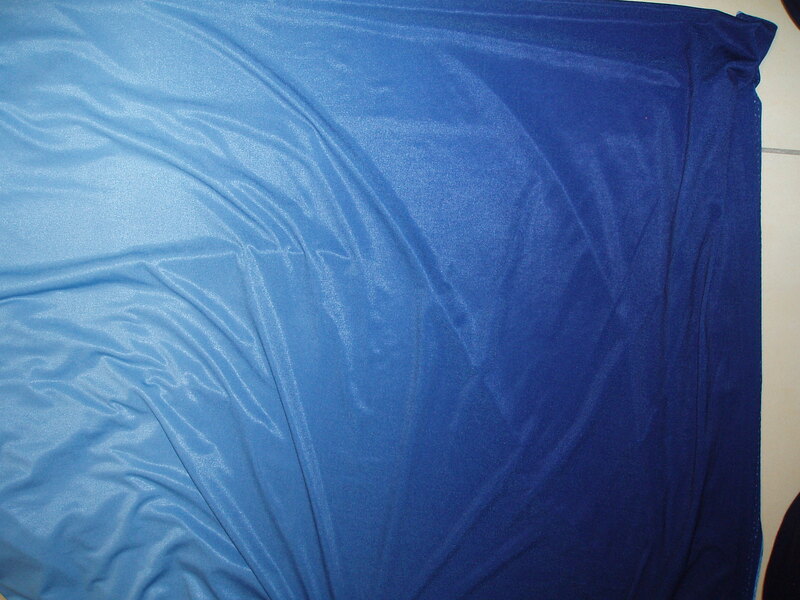 Tonight I am going to attempt S2452 with my slightly icky fabric. I will consider it my 2nd muslin (the first muslin story is part of the TNT post to come).